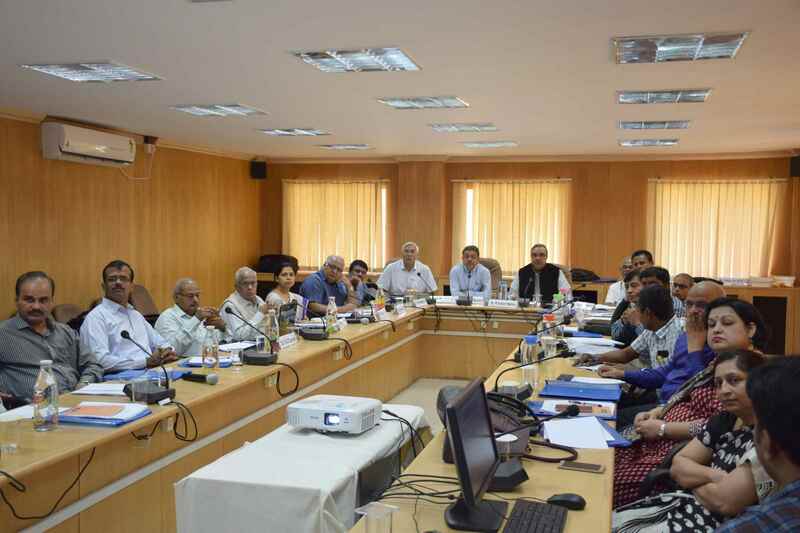 Experts discussed the state of evidence on burden and quality of care for type 2 diabetes mellitus in India, and reviewed the methodology and study tools of the project. Workshop on “Data Analysis and Report Writing” held on 7th, 8th and 9th December 2018 at NCDIR, Bengaluru. 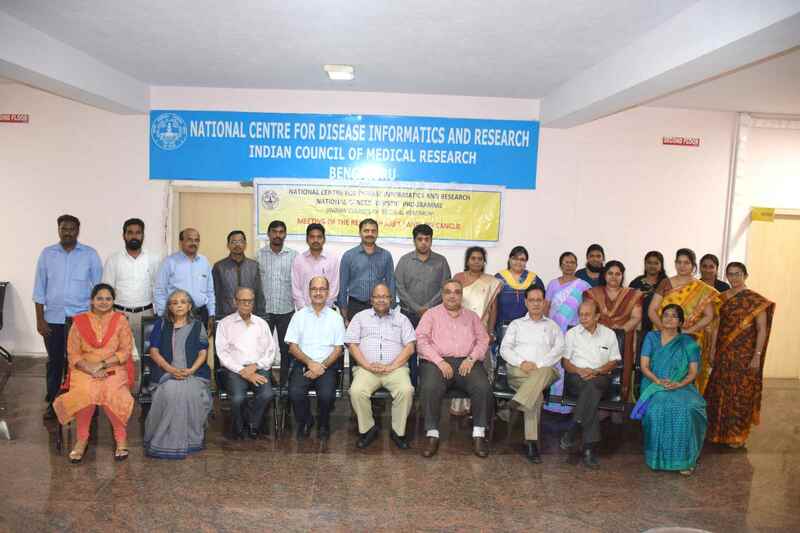 A three day workshop on “Data Analysis and Report Writing for the National Non-Communicable Disease Monitoring Survey (NNMS) – 2017 -18” was held from 7th to 9th December 2018. The workshop intended to sensitize all the investigators of the implementing agencies regarding data analysis and discuss the findings for the final NNMS 2017 - 18 report. 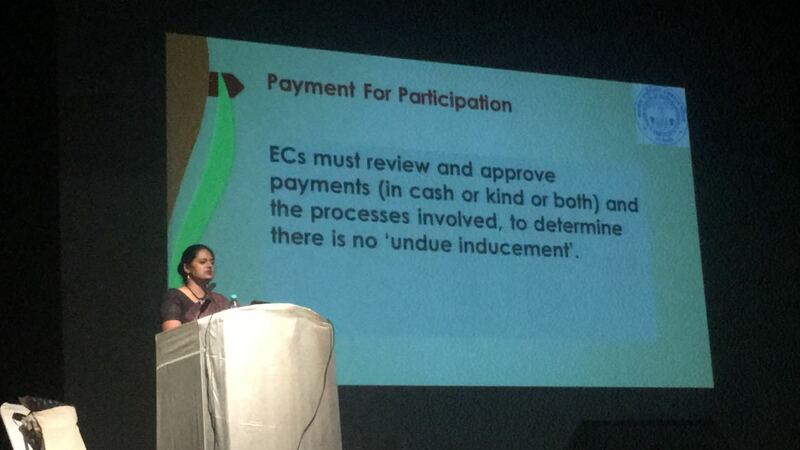 Currently in India, Ethics Committees are prescribing different application formats to investigators for proposal submissions. While some of the ECs have developed formats of their own, others lack such application formats. To address this issue common ethics committee forms have been prepared which are easy to use, adaptable and can be customized as per requirements of ECs across the country. The forms have been released at ICMR - NCDIR, Bengaluru by the Central Ethics Committee on Human Research. The training workshop focussed on the roll out of the project with collection of complete details of Lymphoma, Leukemia and Gynecologic cancers from different centres in 6 cities - Bengaluru, Chennai, Delhi, Mumbai, Thiruvananthapuram and Gurgaon. The workshop has been attended by the Co-Principal Investigators and Data entry operators of the above project. A workshop for newly employed staff (Social Investigators and Data Entry Operators) under the projects of HBCRDM and HBCR in SOR was held on 15th -16th November 2018 at NCDIR, Bengaluru. 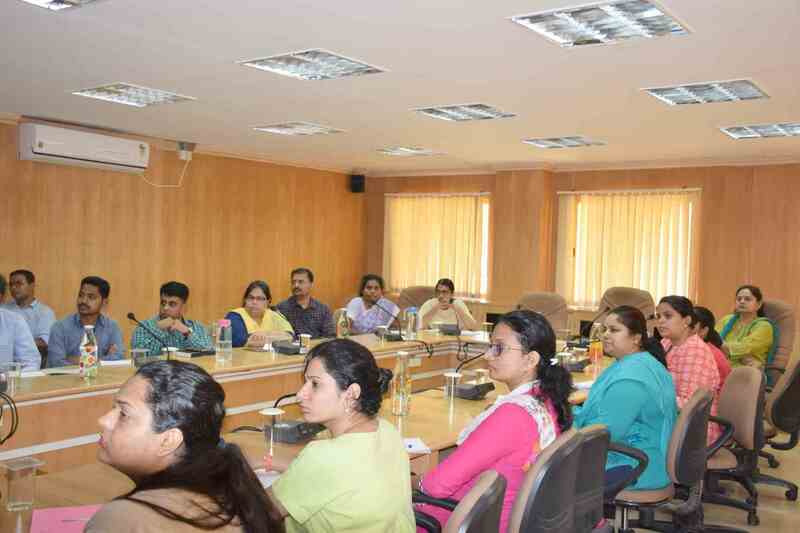 The staff were briefed about cancer registration, cancer terminologies and coding as per ICDO-3 and methods of data collection under the National Cancer Registry Programme. Various hands on exercises were given and software entry demonstrations were held. 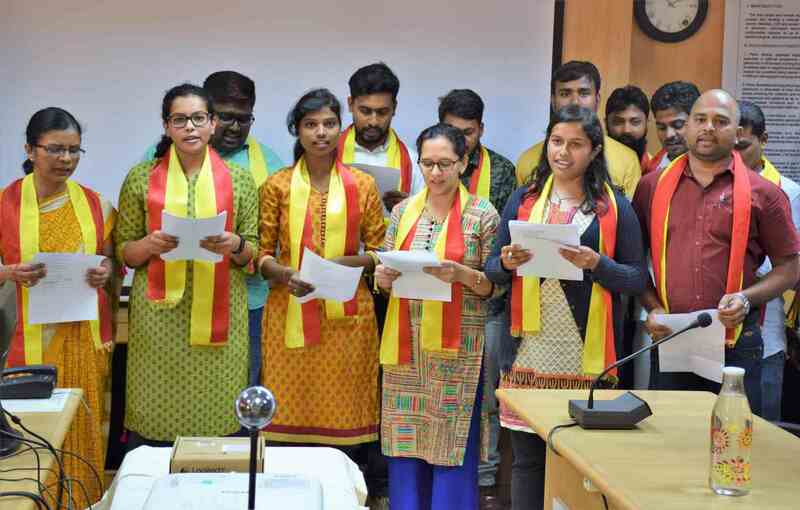 Karnataka / Kannada Rajyotsava was celebrated at NCDIR on 1st November 2018. The Rashtriya Ekta Diwas was observed on 31st October 2018 on the occasion of the birthday of Sardar Vallabhbhai Patel, the Iron Man of India. Rashtriya Ekta Diwas pledge was administered to all staff. Vigilance Awareness Week – 2018 was observed at NCDIR from 29th October to 3rd November 2018. The staff of NCDIR took the ‘Integrity Pledge’ in office. An e-Quiz on ‘Prevention of Corruption’ was offered to the staff for self-assessment in NCDIR's intranet. Materials related to building awareness on the matter were shared. 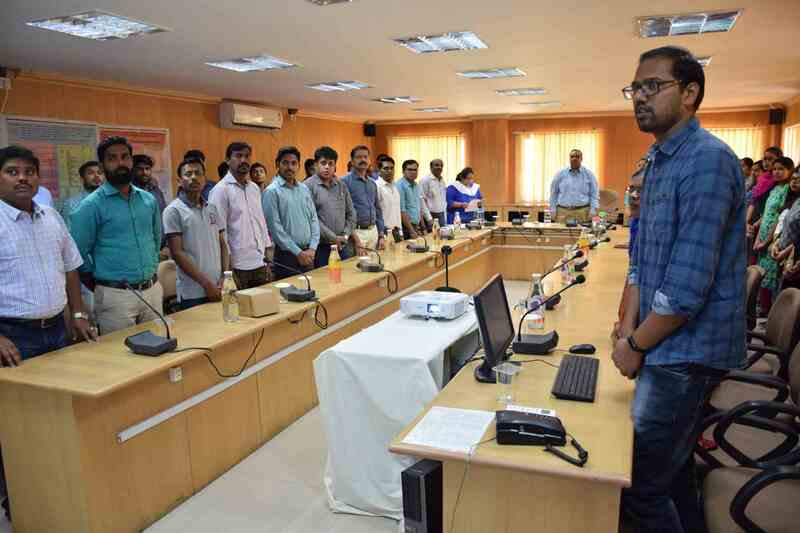 Swachh Pledge and Pledge to segregate was taken by ICMR-NCDIR staff under the leadership of Director, ICMR-NCDIR on October 1st, 2018 and the significance of maintaining cleanliness in the community and responsibility of keeping environment clean was discussed. Shramdan was carried out by the staff in ICMR complex in their respective workplaces and surrounding grounds. Waste was segregated, rubble removed and potholes were filled. 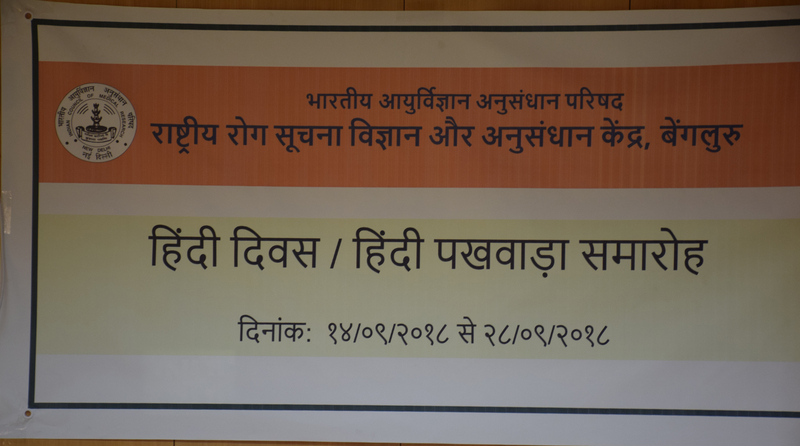 Hindi Pakhwada was held at NCDIR from 14th to 28th September 2018. 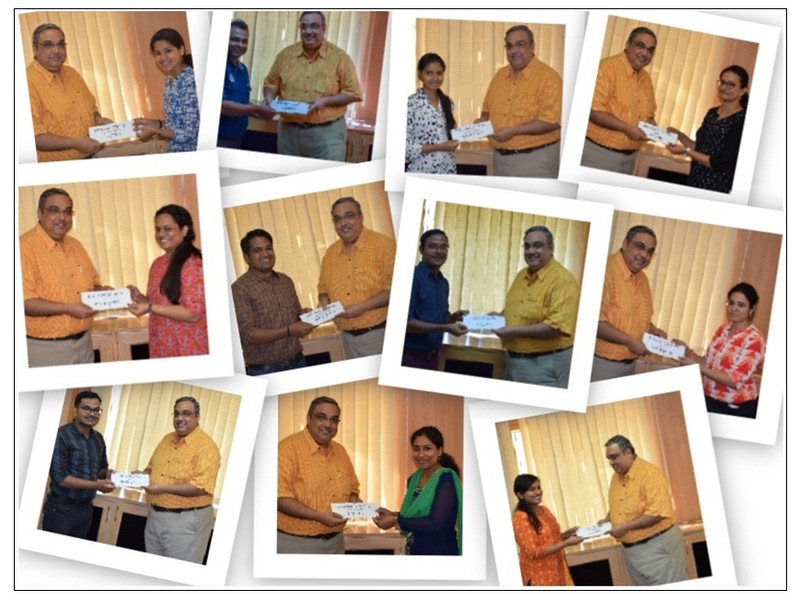 The Essay writing and the oratory competitions were held for the staff of NCDIR during this period and on 28th September 2018 the prizes were distributed by the Director, NCDIR to the winners. On the occasion of Hindi Diwas, a meeting was held at NCDIR on 14th September 2018 in which the importance of Hindi diwas was informed to all staff of NCDIR. 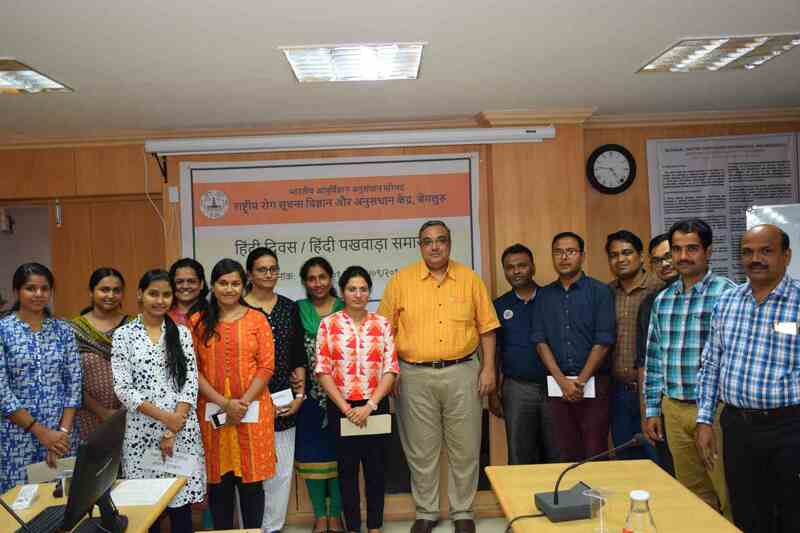 NCDIR is organising the Hindi Pakhwada from 14th to 28th September 2018 and few activities like Essay writing and Debate competitions have been planned for the staff. 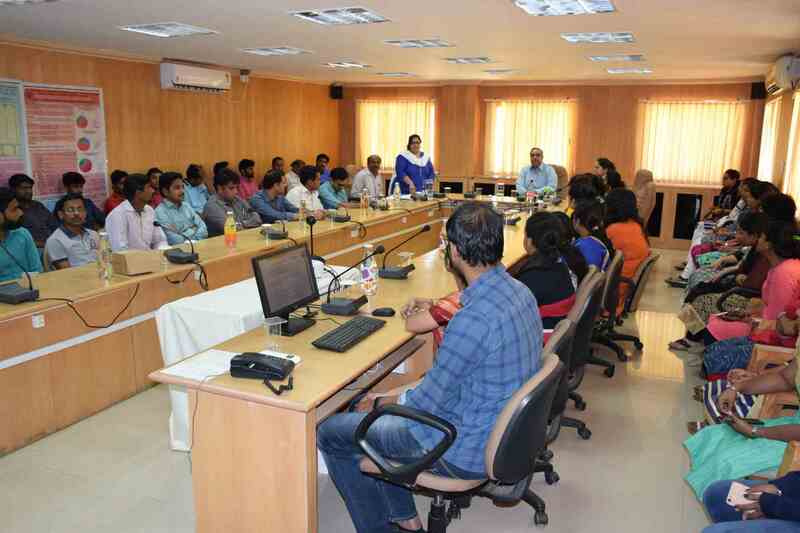 NCDIR facilitated a sensitization training on Proquest LLC Database as directed by ICMR, for the Scientific staff and the library professionals. This was conducted by Mr. Vikram Sudhakar, Training and Consulting Partner, Asia Pacific - Proquest on 17th September 2018. The training provided hands on experience on features of the Proquest database and how it can be used for retrieving and using scientific literature. 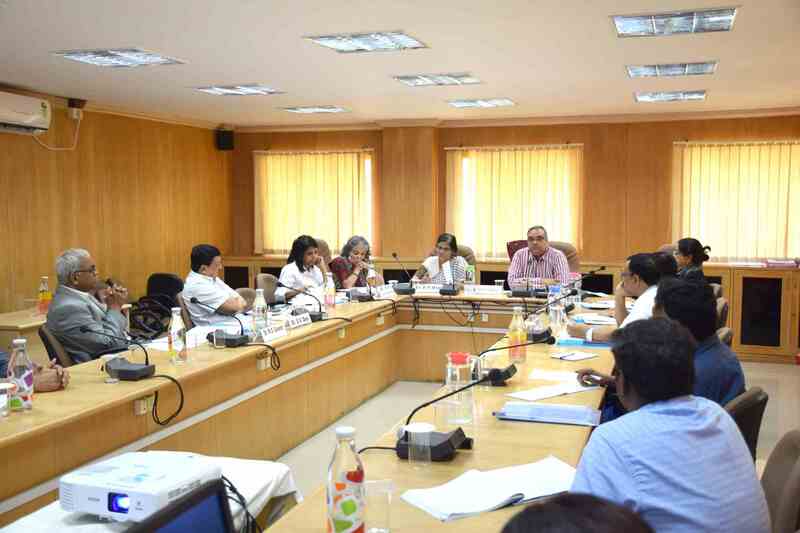 ICMR Bioethics Unit conducted the meeting of the Expert Group on 11th September 2018 to finalize the format of advance health care directive and to prepare the guidance for withdrawal and withholding of life support in critical illness. 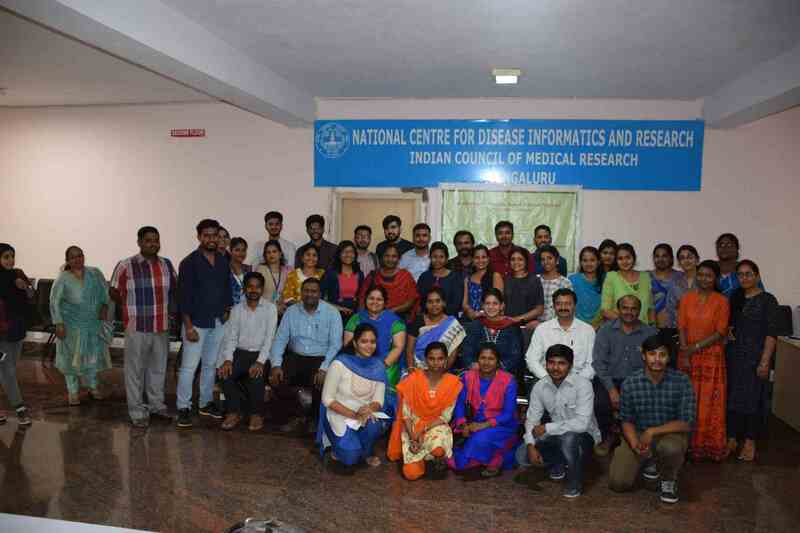 Sensitization workshop on Patterns of Care and Survival Studies on Cancer in Childhood Lymphoid and Hematopoietic malignancies and other Gynecologic malignancies except cervix held on 30th August 2018 at NCDIR, Bengaluru. The above workshop was held for sensitization of the Principal Investigators on Patterns of Care and Survival studies on cancers in Childhood lymphoid and Hematopoietic malignancies and other Gynecologic malignancies except cervix for operationalization of the project. The Proformas for the data collection for Lymphoma & Leukemia and Gynecological Cancers (except cervix) were also finalized. 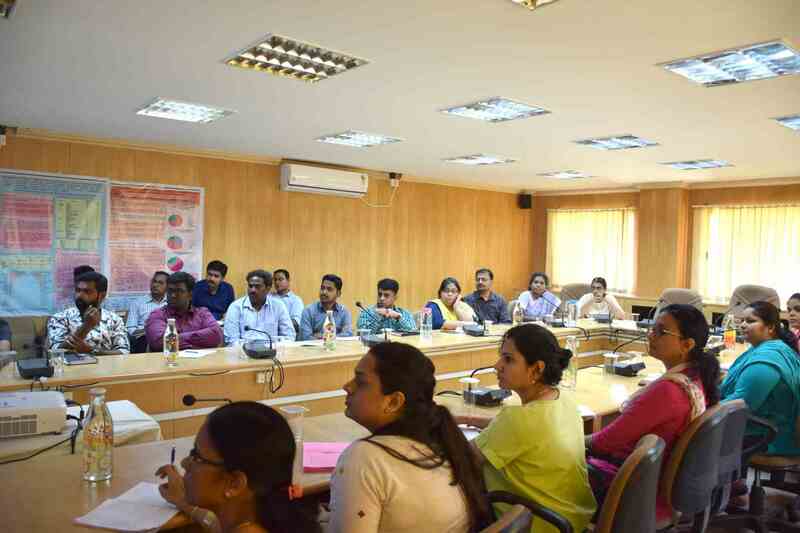 Sensitization Workshop on "Hospital Based Cancer Registries in Regional Cancer Centre” held on 28th and 29th August 2018 at NCDIR, Bengaluru. The above meeting was held to finalize the draft fact sheet results of the survey and the participants included were all the TWG members and the investigators of the Implementing agencies for NNMS 2017 – 18. 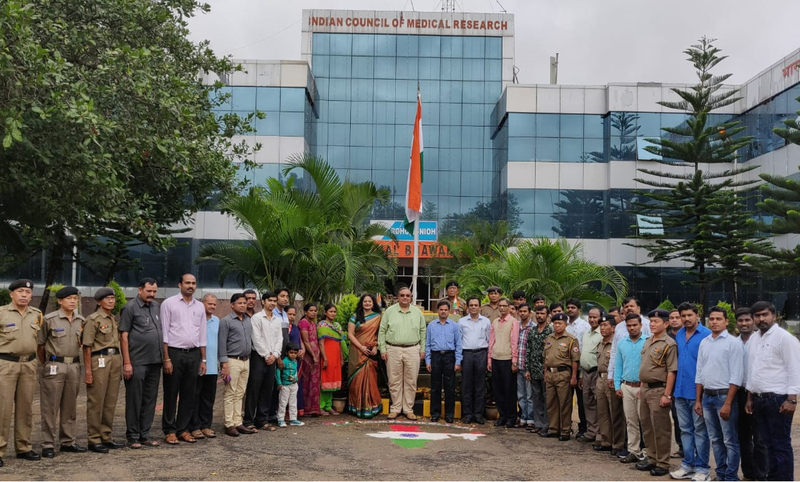 Independence Day Celebration at Nirmal Bhawan-ICMR Complex, Bengaluru on 15th August 2018. 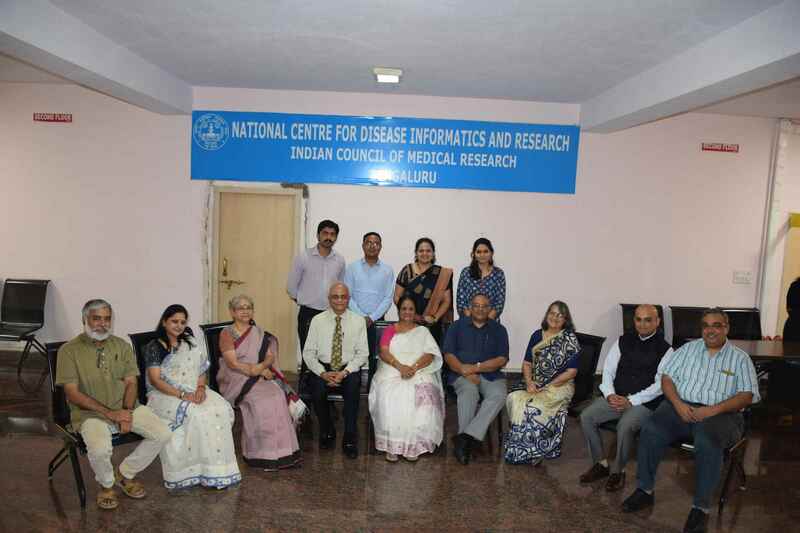 Meeting of the Research Area Panel on Cancer of NCDIR, Bengaluru on 6th and 7th August 2018. 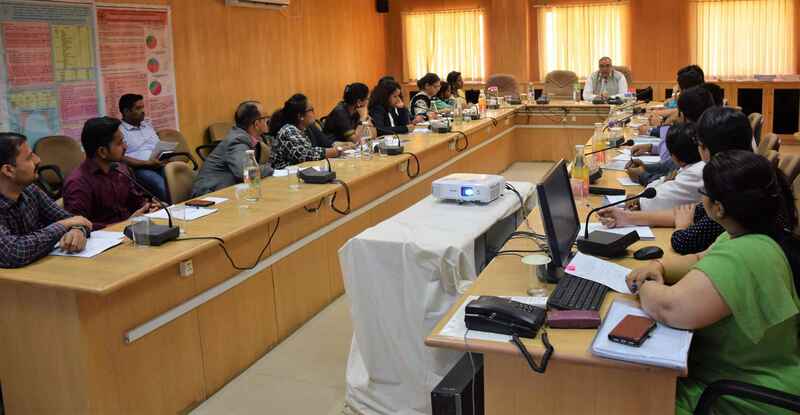 The meeting has been held to discuss and finalize the methodology for estimation of cancer incidence, mortality and prevalence in India by state/UT wise with experts in the field of cancer. 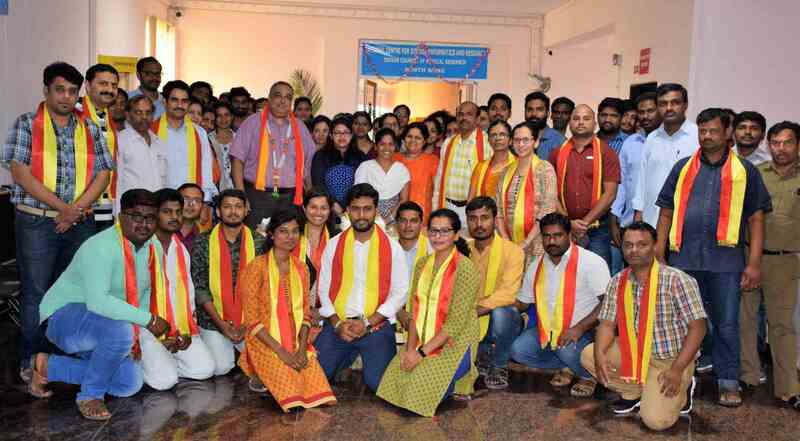 Training Workshop for staff of Population Based Stroke Registry centres (PBSR) in India held on 3rd and 4th July, 2018 at ICMR-NCDIR, Bengaluru. 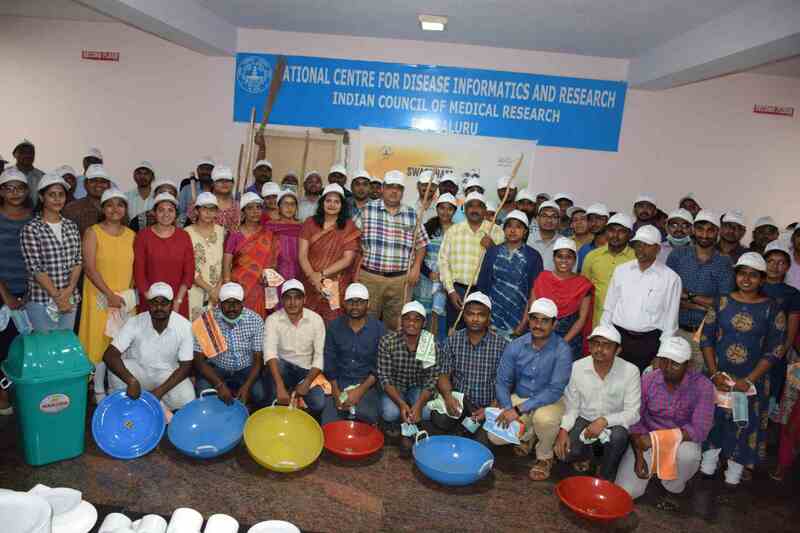 Two- day training workshop was conducted at ICMR-NCDIR for statisticians, field workers and data entry workers from PBSR centres on concepts of clinical stroke, population based stroke registry and case registration methods for estimation of stroke incidence in different regions of India. ICMR Bioethics Unit holds Brainstorming on Reuse of Cardiovascular Catheters at NCDIR on 26th June 2018. Stakeholders brainstorm safety, scientific, sterilization, quality, reprocessing, costing, ethical and legal, issues of reusing cardiovascular catheters. 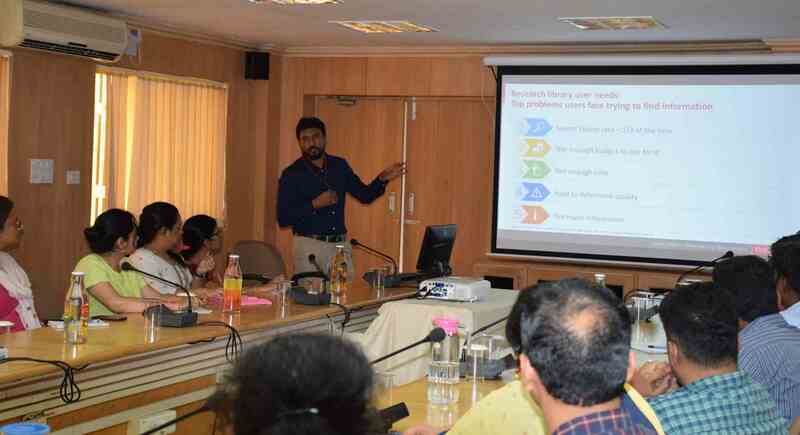 Training Workshop on NCDIR e-Mor Software for registered Hospitals in North East India was conducted by ICMR- National Centre for Disease Informatics and Research (NCDIR) at the Dr. B. Borooah Cancer Institute, Guwahati. 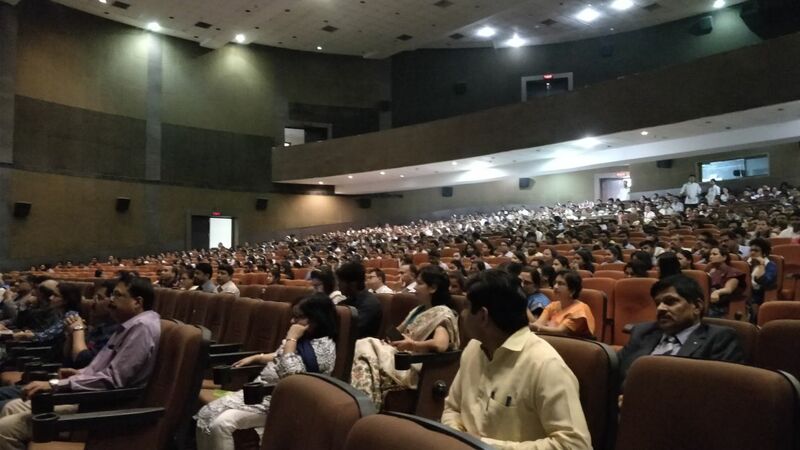 Participants included doctors, social investigators, medical record officers, data entry operators from various hospitals in Assam, Arunachal Pradesh, Manipur, Mizoram, Nagaland and Sikkim. 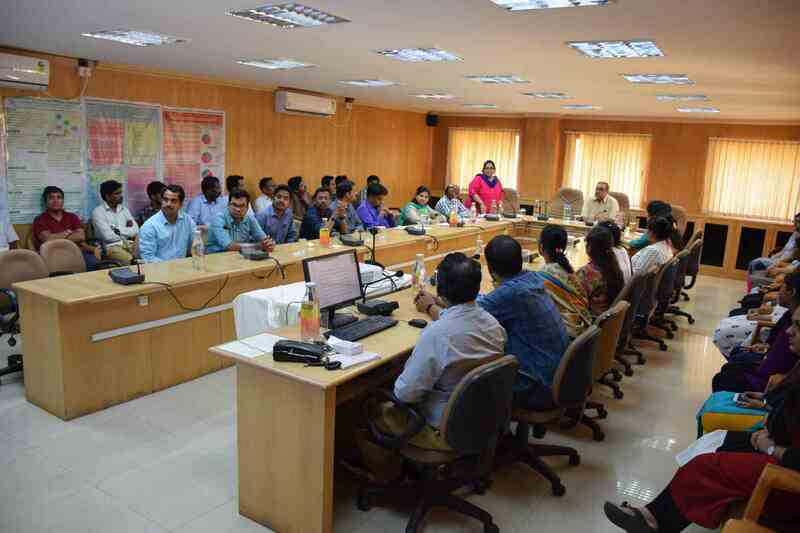 The training focused on the steps to be taken up by hospitals to improve data quality of cause of death information using the e-Mor software developed by ICMR-NCDIR. Yoga Day was celebrated at NCDIR on 21st June 2018. Dr. Apar Avinash Saoji, Asst. Director (Academics) & Head - MD Program, Swami Vivekananda Yoga Anusandhana Samsthana (S-VYASA Deemed to be University) gave a very informative talk regarding the importance of Yoga in daily life of every person and demonstrated few simple yoga exercises that could be easily done in workplace. All staff participated in the event. 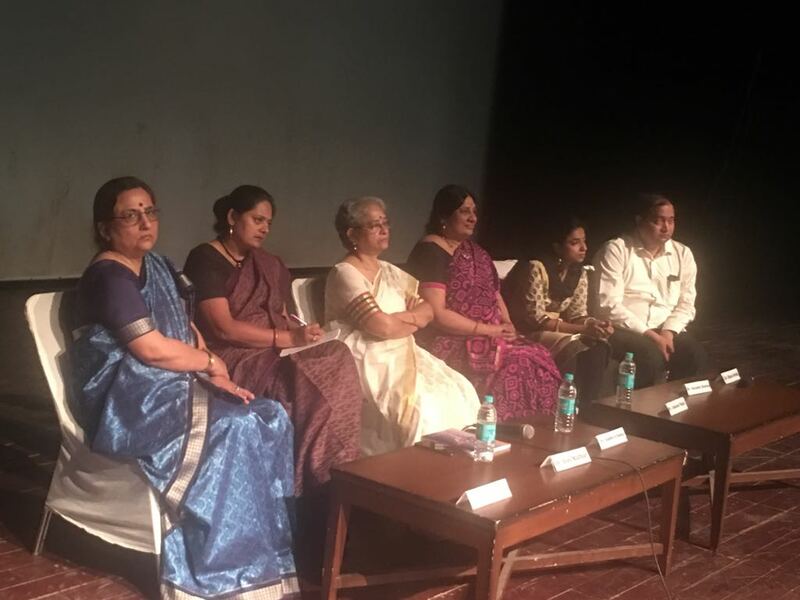 Palliative care, legal and ethics experts discussed development of End of Life Care Process Pathway - an algorithm to guide the decision making and the process of foregoing of life support. The experts brainstormed the complexities of advance care planning, withdrawing and withholding treatment following the report on “Definition of terms used in limitation of treatment and providing palliative care at end of life” released by ICMR in March 2018. Meeting on Hospital Based Stroke Registry held at NCDIR on 29th May 2018. Meeting of experts was held on 29th May 2018 to discuss on the core form of the Hospital based Stroke Registry (HBSR). The objectives, scope and purpose of HBSR in contributing to stroke research was also discussed in the meeting. 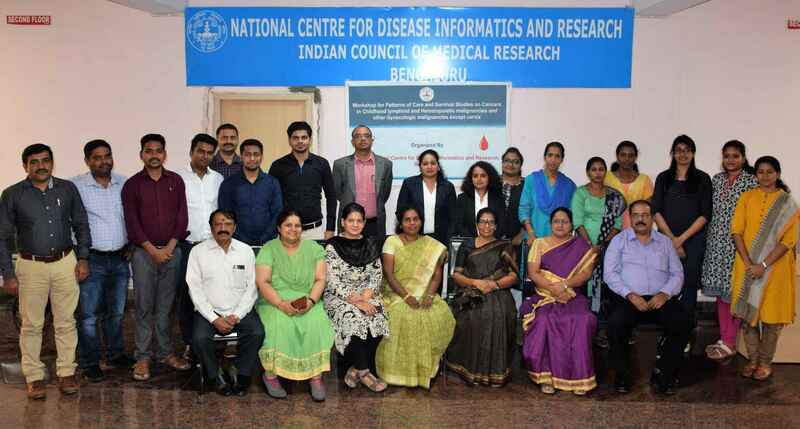 Research Area Panel meeting of Cardiovascular Diseases on 24 May 2018 at NCDIR, Bengaluru. 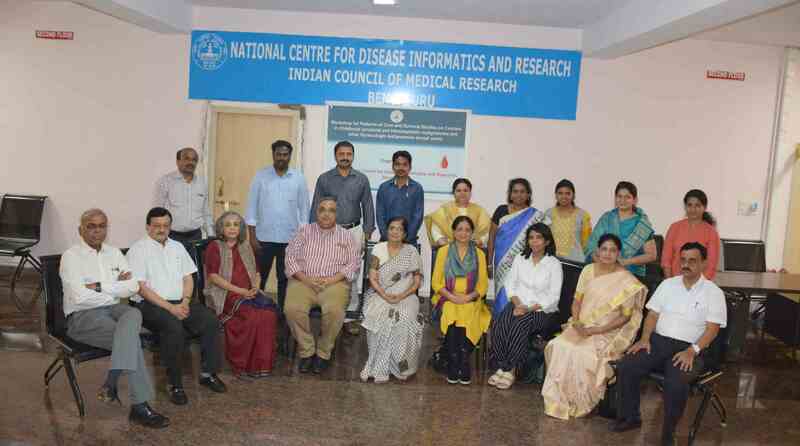 A meeting of members of Research Area Panel of NCDIR of Cardiovascular Diseases Meeting was held on 24th May 2018.The members reviewed the study titled – “A Study on Magnitude and Pattern of Causes of Heart Failure in India – A feasibility study." This study would focus on database generation in a standard and reliable way. The meeting was also attended by the Principal Investigators of the centers who are part of the study. Brainstorming meeting for "Common Review of Multicentric Research by Ethics Committees" on 10 May 2018 at NCDIR, Bengaluru. ICMR Bioethics Unit holds Brainstorming on Common Ethics Review for multicentric research: 1st time initiative to streamline, facilitate, expedite and improve conduct of Multicentre Research in India. The National experts developed the draft guidance & Standard Operating Procedures(SOP) for common ethics review of multicentre research which is a big step for harmonizing EC coordination, networking and will help to improve quality, credibility, save time and duplication. A workshop on “Cancer Registry Working” was organized at JLN Auditorium, All India Institute of Medical Sciences on 2nd May 2018 by ICMR, National Centre for Disease Informatics and Research. Major sources of registration contributing data to Population Based Cancer Registry, Delhi actively participated in the meeting. The main agenda was to strengthen the cancer registration system in Delhi qualitatively and quantitatively. A total of 94 delegates registered and 85 delegates participated in workshop. Also discussed regarding guidelines and process of initiating a HBCR with delegates. As part of Swachhta Pakhwada program from 1st to 15th April 2018 by ICMR-NCDIR, Bengaluru, a health awareness event was held at Government Primary School, Poojanahalli including Anganwadi School, Poojanahalli, on 6th April 2018. Around 35 students participated in the drawing competition conducted on Cleanliness and Health awareness..
A workshop on cancer registration was held at NCDIR, Bengaluru on 26th March 2016 to train the investigators and registry staff of 4 new Population Based Cancer Registries, Allahabad, PBCR covering Gautam Budh Nagar from Uttar Pradesh, PBCR from Assam covering three districts (Karimganj, Hailakandi and Dima Hasao) of Barak valley region in the state and Malabar PBCR covering three districts in southern India namely, Kasargod and Kannur districts of Kerala and Mahe district of Pondicherry. The participants received training in medical terminologies, ICD10 coding, data abstraction, data processing for duplicates and matches using software, data quality indices and data evaluation standards using simple and interactive sessions. Training Workshop for staff of Hospital Based Cancer Registry in Regional Cancer Centres on 21st - 22nd March 2018 at NCDIR, Bengaluru. A workshop for staff employed under the above project held on 21st - 22nd March 2018 at NCDIR-NCRP. The training was provided to the project staff which included Research Scientist (Medical), Statisticians and Social Investigators. The training focussed on cancer registration, cancer terminologies and coding as per ICD-O-3 and methods of data collection including hands on exercises. Participants actively involved in all the interactions. The software team explained, clarified the common data entry errors & doubts by software demonstration. A workshop with staff employed under the above projects has been held on 19th -20th March 2018 at NCDIR-NCRP. 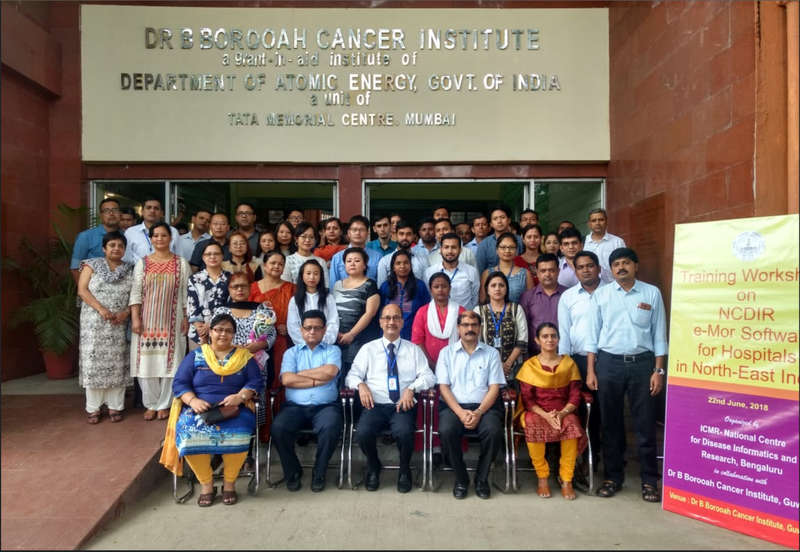 The newly joined staff which included Social Investigators, Data Entry Operators and Statisticians were for the first time briefed about cancer registration, cancer terminologies and coding as per ICDO-3 and methods of data collection under the National Cancer Registry Programme. Various hands on exercises were given and software entry demonstrations were held. Meeting of Setting up of Hospital Based Cancer Registries in Regional Cancer Centres on 16 March 2018 at NCDIR, Bengaluru. A meeting with Principal Investigators of Hospital Based Cancer Registries has been held on 16th March 2018 to have a discourse on challenges of collection of data of in Regional Cancer Centres. The quality of data received, methods of collection of data from all departments and administrative & financial issues faced were discussed at length during the workshop. HBCRs help in assessing cancer patient care in a given hospital and aid in hospital administration including the individual hospital's cancer control programmes. HBCRs also collect information pertaining to clinical stage, treatment and follow-up. Hospital registries help in planning and monitoring survival studies and clinical trials. In many instances, hospital registries contribute cases to the Population Based Cancer Registry in the area. Meeting on 'Strengthening Cause of Death Information using NCDIR e-Mor in North East India' on March 15th 2018 at NCDIR, Bengaluru. ICMR-NCDIR, Bengaluru conducted the meeting to sensitize the need for strengthening the mortality statistics in North East India. 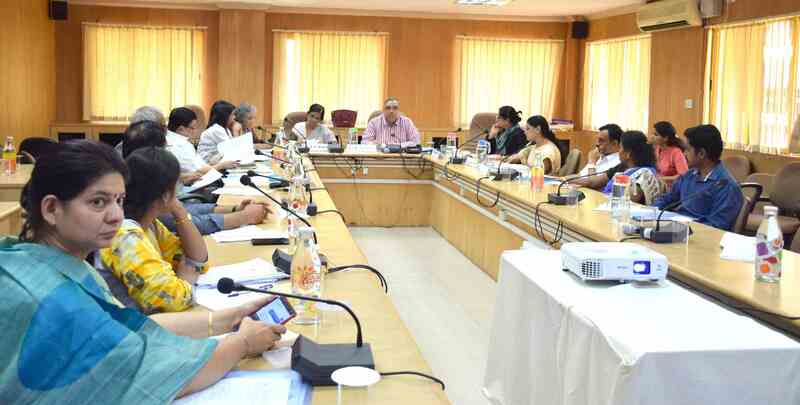 The meeting was attended by the Heads of the Institutions, Investigators of Population Based Cancer Registries in North East India and officials of the Registrar of Births and Deaths from the states in North East India. Highlights of the NCDIR e-Mor software and the need for strengthening the mortality statistics in North East India was described. Challenges and future plan to implement e-Mor in the respective hospitals was discussed. PIs of PBCRs from other parts of India also shared their views and practices. 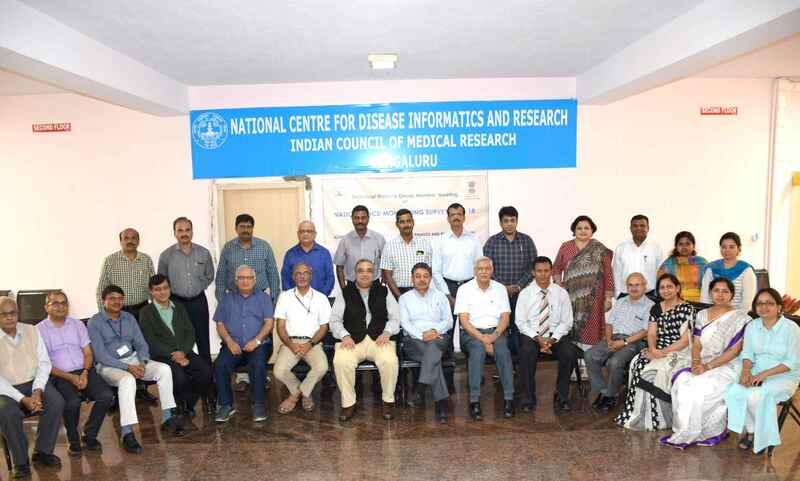 Workshop on Population Based Cancer Survival on Cancers of Breast, Cervix and Head & Neck was conducted in ICMR - NCDIR, Bengaluru on 14-15, March 2018. Experts in the field of cancer survival, epidemiologists and Investigators from the registries participated along with NCDIR staff. The workshop discussed the modalities of data collection, methodology, follow up proforma and registry specific issues. Workshop on Population Based Stroke Registry (PBSR), 2018 on 13th and 14th March 2018 at NCDIR, Bengaluru. 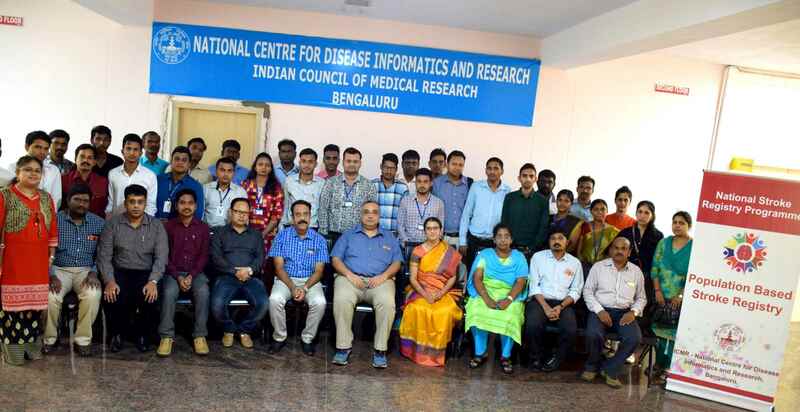 A two-day workshop was organized for the PBSR centres at the ICMR - National Centre for Disease Informatics and Research, Bengaluru on 13th and 14th March 2018. Investigators from the PBSR centres (Varanasi, Kota, Silchar, Cuttack and Tirunelveli) attended the workshop. Concepts and definitions of PBSR, population coverage and methods of case abstraction were discussed. Hands-on training session was provided on the software application for data entry with inbuilt quality checks. 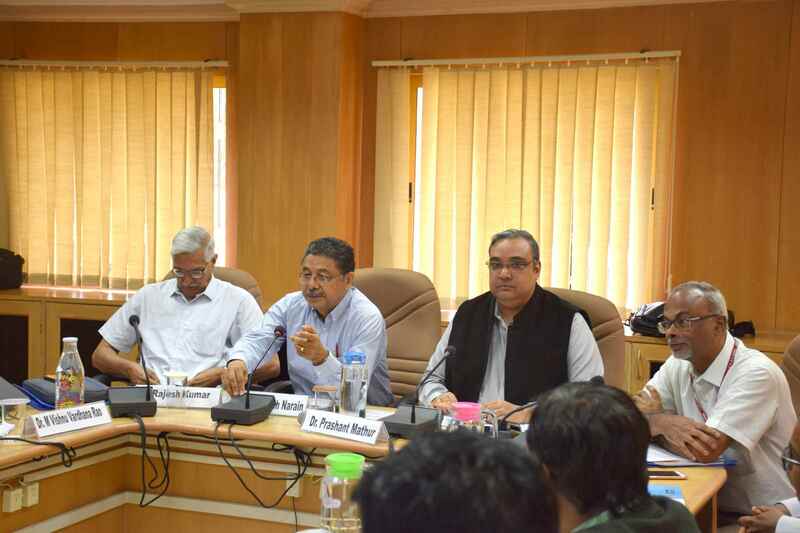 The progress of work was reviewed and future implementation plan by each registry was discussed. ICMR- Symposium on Draft New Drugs and Clinical Trials Rules, 2018 on 12th March 2018 at NCDIR, Bengaluru. ICMR-Bioethics Unit, NCDIR, Bengaluru organized a symposium to discuss the Draft New Drugs and Clinical Trial Rules 2018 at NCDIR, Bangalore on 12th March, 2018. The symposium was chaired by Prof Madhava Menon, Chairperson, Central Ethics Committee on Human Research and was attended by stakeholders from other government agencies, universities, research institutes, non- governmental organizations, private practitioners, legal experts, basic scientists, social scientists and others. Feedback and comments will be communicated to Central Drug Standards and Control Organization (CDSCO). Release of the document "Definition of terms used in limitation of treatment and providing palliative care at end of life" at NCDIR, Bengaluru on 12th March 2018 as the Hon'ble Supreme Court Issues Directive. 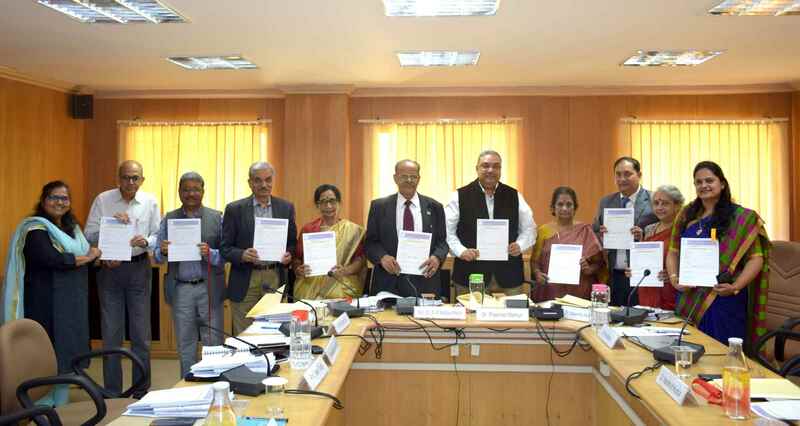 A document which defines complex terminologies of End of Life Care (EOLC), in consonance with the recent Hon'ble Supreme Court directives on passive euthanasia has been released at ICMR - NCDIR, Bengaluru by the eminent experts in the field. ICMR Bioethics Unit, National Centre for Disease Informatics and Research, Bangalore, and Central Development Services Agency (CDSA), THSTI jointly organized a Dissemination programme on the revised 'National Ethical Guidelines for Biomedical and Health Research Involving Human Participants, 2017', and 'National Ethical Guidelines for Biomedical Research Involving Children' in collaboration with Gauhati Medical College, Guwahati. 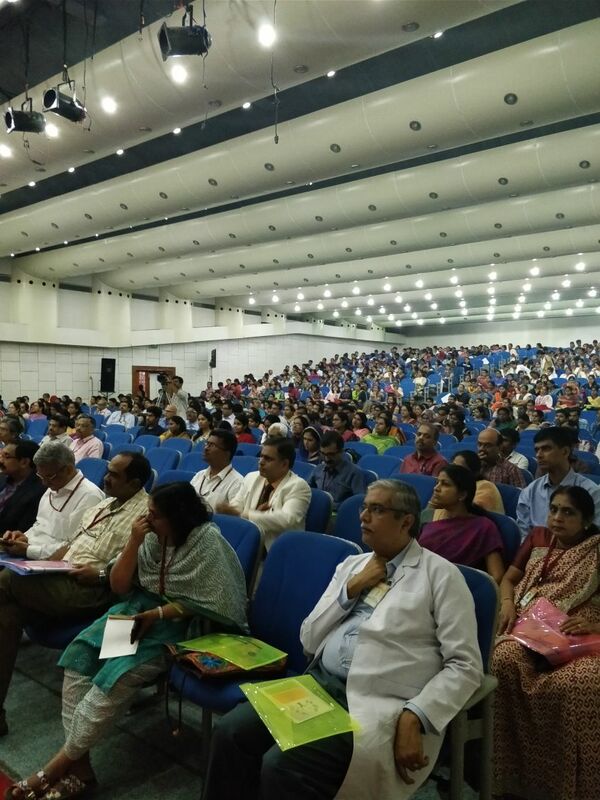 Approximately 700 participants from various Medical, Dental, Paramedical, Nursing, Pharmacy colleges and other research institutes of Assam and other neighbouring States attended the program. There were interactive discussions during the panel discussion with the expert members. Sensitization Workshop on Hospital Based Cancer Registry in Sources of Registrations of already existing Population Based Cancer Registries (PBCRs) at Bengaluru, Chennai, Delhi, Mumbai and Kolkata held on 8th March 2018 at NCDIR (ICMR), Bengaluru. The workshop has been conducted to sensitize the Principal Investigators (PI) and Co-PIs to understand the cancer registration process to help in smooth functioning of Hospital Based Cancer Registry (HBCR) at their hospitals as well as contribution to the PBCR. The training was focused on HBCR registration and abstraction of information on cancer patients from all departments of the hospital. Quality checks on treatment, clinical staging, finding the primary site of tumour to minimize the % of unknown and unspecified cancer sites etc. were discussed. HBCRDM software was also demonstrated during the workshop. ICMR Bioethics Unit, National Centre for Disease Informatics and Research, Bangalore, and Central Development Services Agency (CDSA), THSTI jointly organized a Dissemination programme on the revised 'National Ethical Guidelines for Biomedical and Health Research Involving Human Participants, 2017', and 'National Ethical Guidelines for Biomedical Research Involving Children' in in collaboration with Amrita Institute of Medical Sciences, Kochi. About 900 participants from various Medical, Dental, Paramedical, Nursing, Pharmacy colleges and other research institutes in Kerala and other neighbouring States registered for the program. There were interactive discussions during the panel discussion with eminent faculty members. 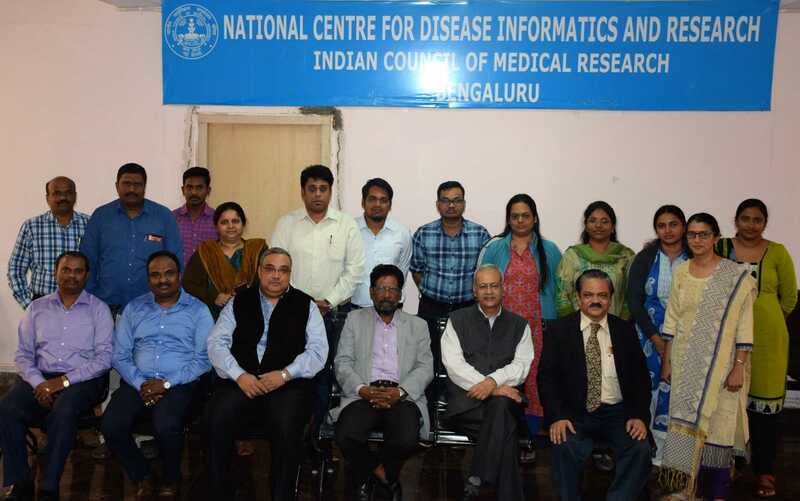 Data analysis workshop was held from 19th to 21st February, 2018 at NCDIR, Bengaluru to discuss the logic and syntax for data analysis regarding National NCD Monitoring Survey. The NNMS factsheet was finalised and another workshop will be planned to finalise the draft tables for the final report. A meeting was held on 22nd February 2018, to discuss review of studies and available data to develop a suitable method for estimating 24 hour dietary sodium intake from spot urinary samples. It was decided to perform a systematic review and pooled analysis of the available studies to identify the best equation for estimating 24 hrs dietary sodium intake from spot urinary samples. ICMR National Ethical Guidelines Dissemination Program held at AIIMS Bhubaneswar on 17th February 2018. 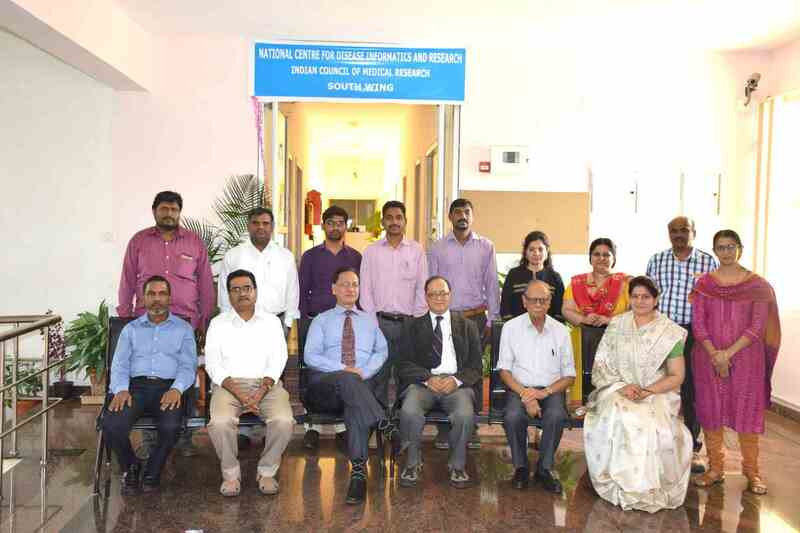 ICMR Bioethics Unit, National Centre for Disease Informatics and Research, Bengaluru, organized a Dissemination programme in collaboration with All India Institute of Medical Sciences, Bhubaneswar and Regional Medical Research Centre, Bhubaneswar, on the revised 'National Ethical Guidelines for Biomedical and Health Research Involving Human Participants, 2017', and 'National Ethical Guidelines for Biomedical Research Involving Children' at AIIMS, Bhubaneswar. 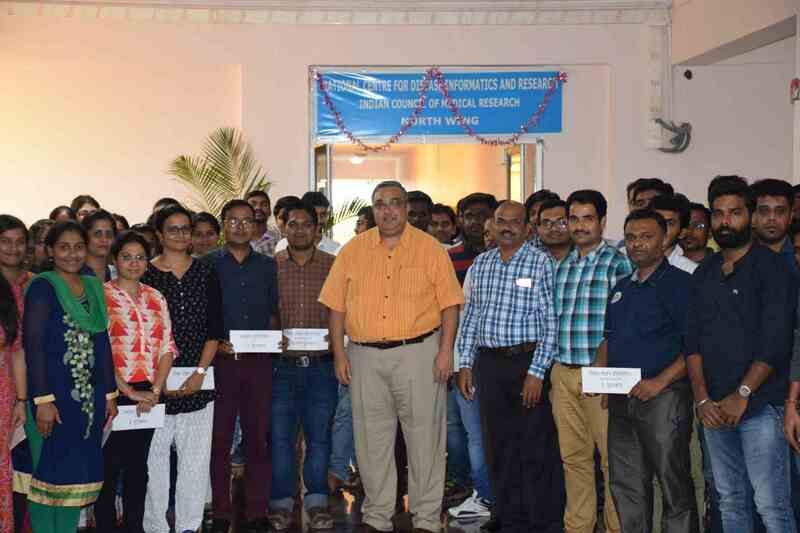 About 814 participants from various Medical, Dental, Paramedical, Nursing, Pharmacy colleges and other research institutes in Odisha, Jharkhand, Chhattisgarh and other neighbouring regions registered for the program. There were interactive discussions during panel discussion. Scientific Advisory Committee Meeting on 13 February 2018 . Fourth meeting of the Scientific Advisory Committee of NCDIR was held on 13th February 2018 at NCDIR, Bengaluru. 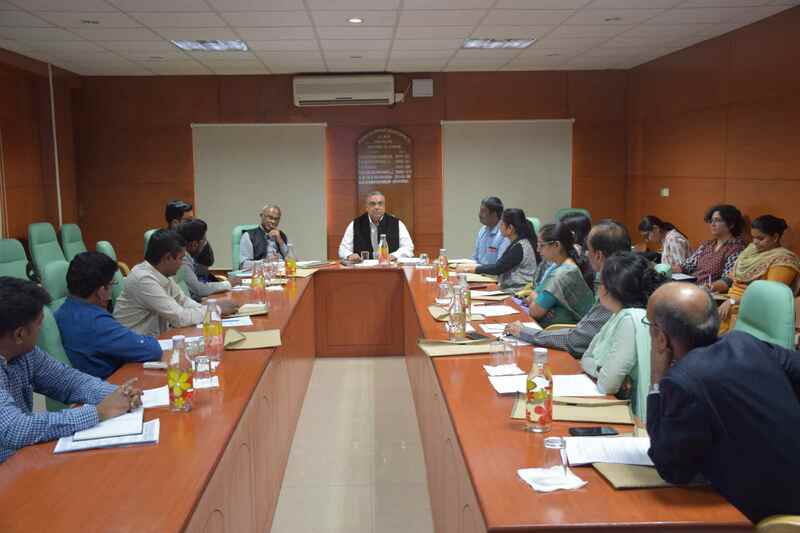 Members of the committee along with officials from ICMR Hqs, experts from National Centre for Disease Control (NCDC), National Informatics Centre from the Department of Electronics and Information Technology, Ministry of Communications & Information Technology and the NCDIR staff participated in the meeting. 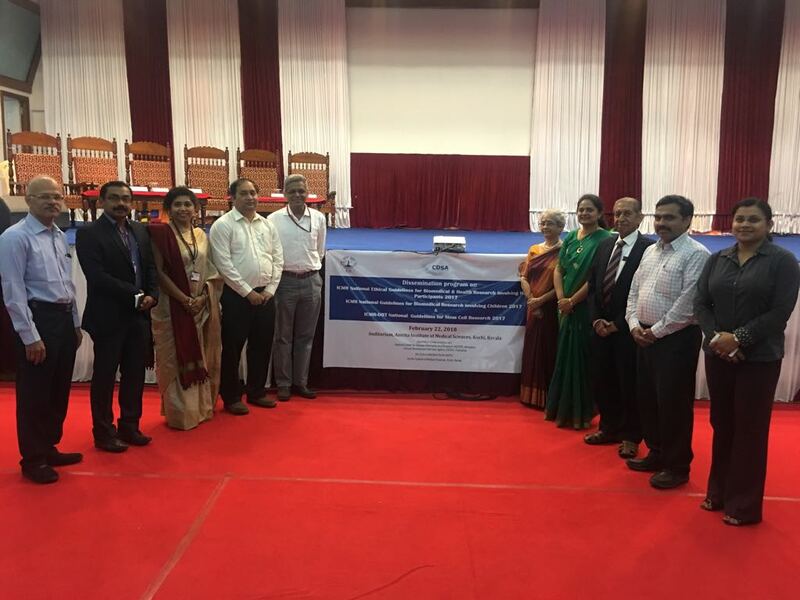 ICMR National Ethical Guidelines Dissemination Program held at Sri Ramachandra Medical College and Research Institute, Porur, Chennai on 7th February 2018 . 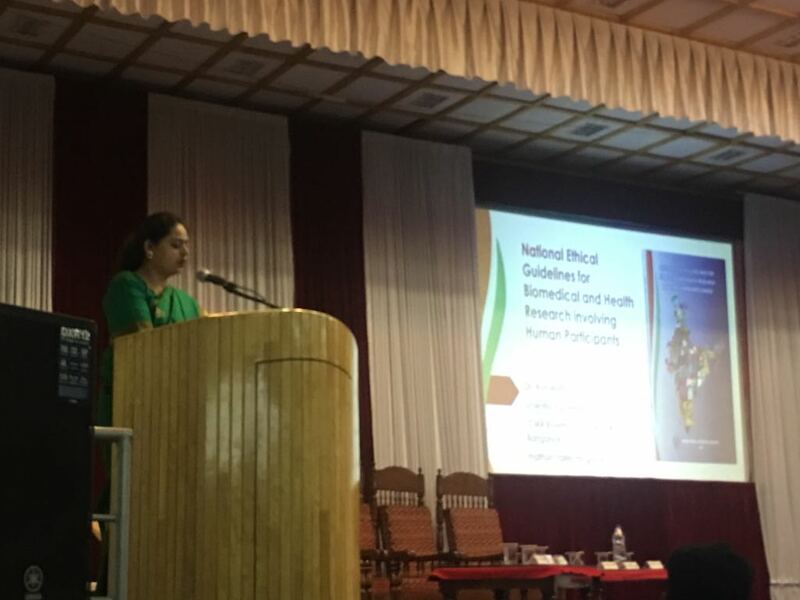 ICMR Bioethics Unit, National Centre for Disease Informatics and Research, Bangalore, organized a Dissemination programme in collaboration with National Institute for Research in Tuberculosis, Chennai and SRMC, Chennai on the revised 'National Ethical Guidelines for Biomedical and Health Research Involving Human Participants, 2017', 'National Ethical Guidelines for Biomedical Research Involving Children' and 'National Guidelines for Stem Cell Research' at University Auditorium, SRMC & RI, Porur, Chennai. 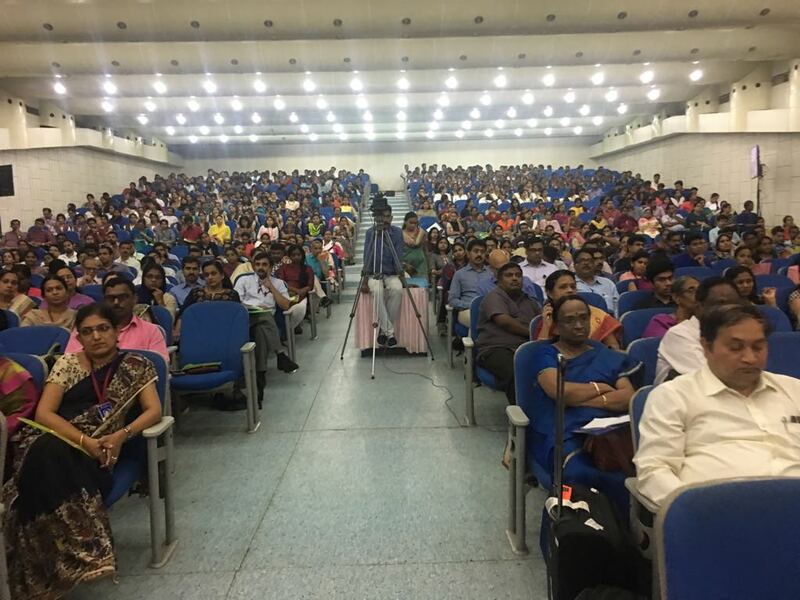 More than 1100 participants from various Medical, Dental, Paramedical, Nursing, Pharmacy colleges and other research institutes in Tamil Nadu, Andhra Pradesh, Telangana, Karnataka, Pondicherry and other neighbouring regions attended the program and benefitted from the interactive discussions and gained newer updates on the topic. Meeting on Proforma and Protocol Development for the project, Population Based Cancer Survival on Cancers of Breast, Cervix and Head & Neck on 24th January, 2018. A one day meeting on Proforma and Protocol Development for the project, Population Based Cancer Survival on Cancers of Breast, Cervix and Head & Neck has been conducted in ICMR - NCDIR, Bengaluru on 24th January, 2018. Experts in the field of cancer survival and epidemiologists participated along with NCDIR staff. This meeting was focused on developing the study protocol and follow-up proforma. The workshop has been conducted to sensitize the Principal Investigators(PI) and Co-PIs to understand the cancer registration process which will help in smooth functioning of Hospital Based Cancer Registry (HBCR) at their hospitals as well as contribution to the PBCR. Investigators from 13 HBCRs across the country participated in the workshop. The training was focused on HBCR registration setup, abstraction of information on cancer patients from all departments of the hospital. Quality checks on treatment, clinical staging, finding the primary site of tumour and reducing the unknown and unspecified cancer sites etc. was discussed. HBCRDM software was also demonstrated during the workshop. A two day workshop was organized at the ICMR Institute - National JALMA Institute for Leprosy and other Micobacterial Diseases, Agra on 15th and 16th January 2018. Participants from the various Medical colleges and other research institutes from nearby region including the ICMR-Regional Medical Research Centre, Gorakhpur participated in the workshop. Sensitization Workshop for Hospital Based Cancer Registries Data Management Centres on 12th January 2018 at NCDIR. The workshop has been conducted to sensitize the Principal Investigators(PI) and Co-PIs to understand the cancer registration process which will help in smooth functioning of Hospital Based Cancer Registry (HBCR) at their hospitals. Investigators from 19 HBCRs across the country participated in the workshop. The training was focused on HBCR registration setup, collection of information on cancer patients from all departments of the hospital, completing parameters on treatment, clinical staging, finding the primary site of tumour and reducing the unknown and unspecified cancer sites etc. HBCRDM software was also demonstrated during the workshop. Workshop on Proforma Development for Pattern of Care and Survival Studies (POCSS) on Gynaecological Malignancies (except cervix) under NCRP - NCDIR on 11th January 2018. A one day Workshop on Proforma Development for Pattern of Care and Survival Studies (POCSS) on Gynecological Malignancies (except Cervix) has been conducted in ICMR- NCDIR, Bengaluru on 11th January 2018. 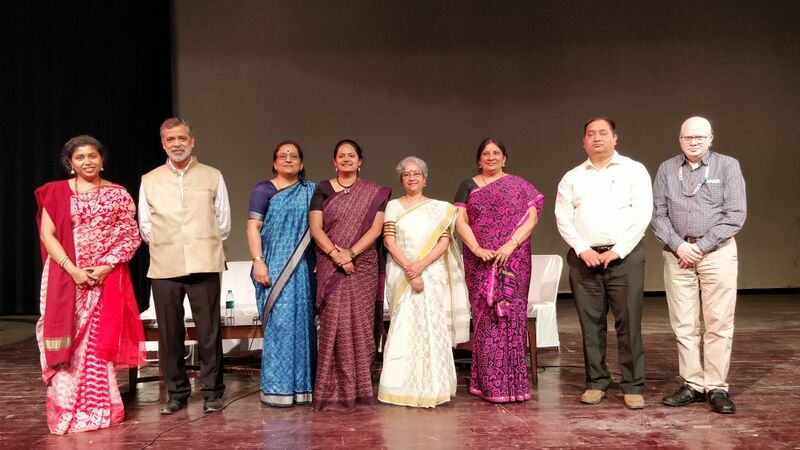 Clinical experts in the fields of Gynecological oncology and Radiation Oncology from various national institutes participated in the brainstorming workshop. The discussions provide a direction to develop the programme as per clinician`s requirement of evidence and also in a pragmatic approach. Workshop on Proforma Development for Pattern of Care and Survival Studies (POCSS) on Childhood and Adult Haematolymphoid Malignancies under NCRP - NCDIR on 10th January 2018. A one day Workshop on Proforma Development for Pattern of Care and Survival Studies (POCSS) on Childhood and Adult Haematolymphoid Malignancies has been conducted in ICMR - NCDIR, Bengluru on 10th January 2018. 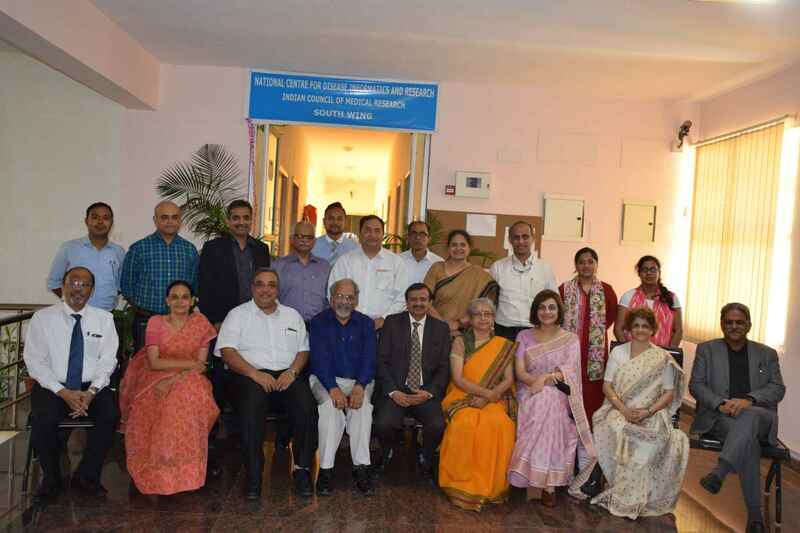 Clinical experts in the fields of Paediatric and Adult Haematolymphoid oncology from various national institutes participated in the brainstorming workshop. The discussions provide a direction to develop the programme as per clinician`s requirement of evidence and also in a pragmatic approach. Workshop on Research Ethics and Good Clinical Practice held at NICPR, Noida on 9th January 2018. ICMR Bioethics Unit, NCDIR and NICPR, Noida jointly organized a one day training on Research Ethics and Good Clinical Practice for researchers and ethics committee from several research institutes and medical colleges in Delhi and Noida at NICPR, Noida on 9th January 2018.